We’re happy to be a part of the Holiday Food Drive again this year and hope to be able to collect items for the Ottawa Food Bank. Feel free to bring in non perishable food items, household items or diapers the next time you’re in for a class or a one on one session. There are a number of other sponsors participating in the Food Drive. 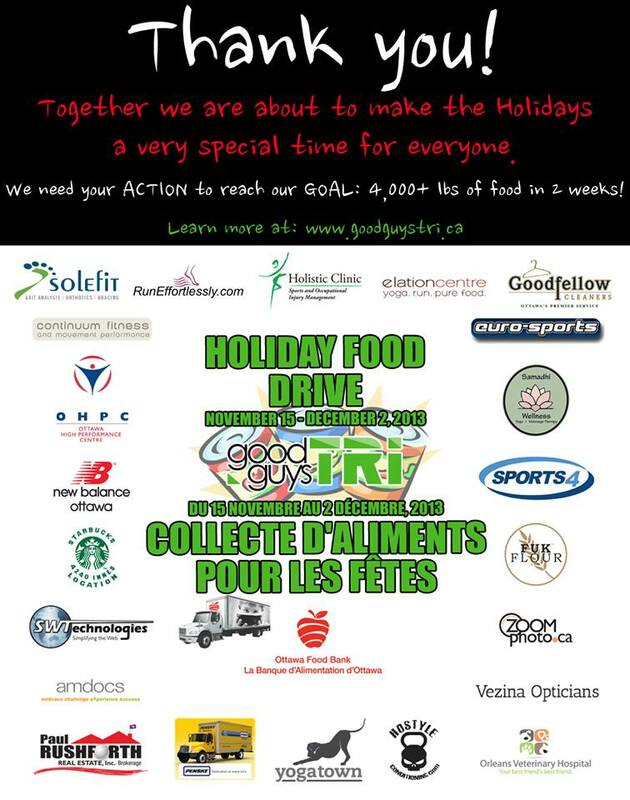 Have a peek at the other locations and please consider dropping off donations at any of the participating locations. We’ll be collecting items until December 2. Thank you!